Bulletproof Vests are worn by quite a number of individuals, though the fact that law enforcement officers, security guards, and park rangers wear bulletproof vests is common knowledge; what is not so well known is the fact that shop owners, bank employees, and paramedics also wear a bulletproof vest. Bulletproof Vests were created to protect the upper body of a human from being penetrated by a bullet. 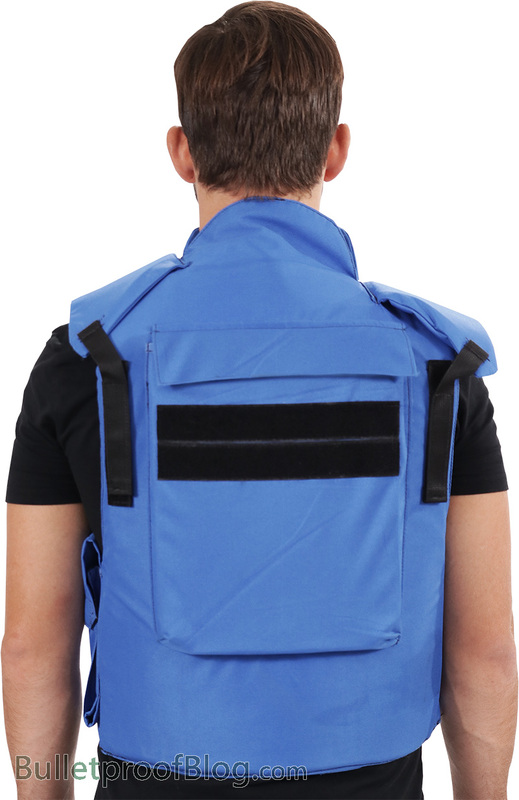 However a bulletproof vest function does not stop there; there have been many occurrences of vehicle accidents, where bulletproof vest wearers have emerged unharmed because the bulletproof vest protects their upper body during the accident. Staying true to its intended function, the material which is used in the creation of Bulletproof Vests stops bullets in the same way that a net stops volleyball. Like the volleyball net a bulletproof vest can become less efficient the older it gets, and this is due to the aging of the material that was used to create it among other factors. Bulletproof vests were created to be useful for a set amount of time, after the passing of that time the level of protection that the bulletproof vest gives starts to decline. Most items undergo wear and tear from regular use, and a bulletproof vest is similar to most items in this sense. Therefore the more often a bulletproof vest is worn the less efficient it becomes. The changes that a bullet proof Vest goes through, throughout its useful lifespan is not always very obvious to the untrained eye. However, most bulletproof owners are aware that their bulletproof vests usefulness becomes less as time elapses and this is usually one of the main reasons they decide to sell it. A bulletproof vest is estimated to be at its full potential five years after it has started being used. As the vest is continually worn it loses its capacity to function effectively, less and lesser each day. When an individual purchases a second-hand bullet proof vest, even if they are told of the age of the vest, it might not always be the accurate information. When an individual wears that vest, which is seemingly intact, and is actually close to ten years old, or has been worn very frequently prior to the second-hand purchase date; that individual is as much exposed as they would have been without a bulletproof vest. If a person were to purchase a bulletproof vest it would be recommended that they purchase one to which they are privy of the full history, and with that information, they are able to make an informed decision. Though it is a fact that the older a bulletproof vest is and the more often it is worn the less efficient it becomes; there are still a few bulletproof vests that are very old and even some that have been worn their fair share of time and are still capable of functioning efficiently. It is still recommended that one defers from using such body armors as they might never be able to tell whether are not it will perform the way it should.